“He’s simply not a Benitez-type character” – Report drops big hint about NUFC talent – NUFC blog – Newcastle United blog – NUFC Fixtures, News and Forum. 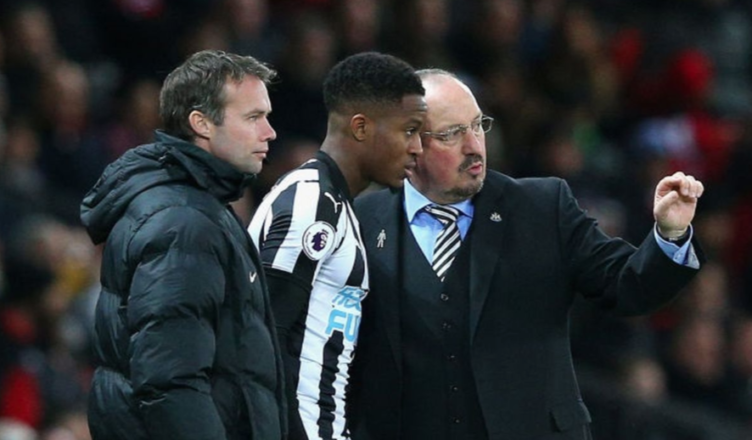 According to the Chronicle, Rolando Aarons is ‘simply not a Benitez-type character’, suggesting it’s the wingers attitude that’s stopped him from being a success under the Spaniard. This would explain a lot. Yes he’s had injuries and has struggled to find any real form as a result, but Rafa seems to place real focus on a players character, discipline and application; with flaws in these areas appearing to be the reason he wasn’t fond of Mitrovic, Mbemba and Mbabu to name a few. ‘As for Aarons, well the 23-year-old may still appear to be a talent largely unfulfilled, but he is simply not a Benitez-type character and I can’t see the pair working together long term. Interestingly, the piece suggests that fellow Newcastle loanees Lazaar, Colback and Saivet have ‘no future’ at the club if Rafa Benitez remains in charge – also suggesting Gayle’s days may be numbered – however it’s stated that Jacob Murphy looks likely to be given a second chance when he returns from his spell with West Brom this summer. As for Aarons, attitude is one thing, but he’s hardly grasped his chance even out on loan over the past few seasons. He’s made a strong with Sheffield Wednesday, but he failed to deliver a single goal or assist during loan spells with former Serie A strugglers Verona and Czech side Slovan Liberec last year – so Rafa may be doubting both his character and ability at this stage. He always looked like a young player destined to make that breakthrough into the first team a few years ago, with him regularly shining over pre-season, standing out at U-23 level or looking useful when he was given a chance in the FA Cup, but it seems his future at St James’ Park is all but over unless Benitez leaves and his replacement likes the look of him.